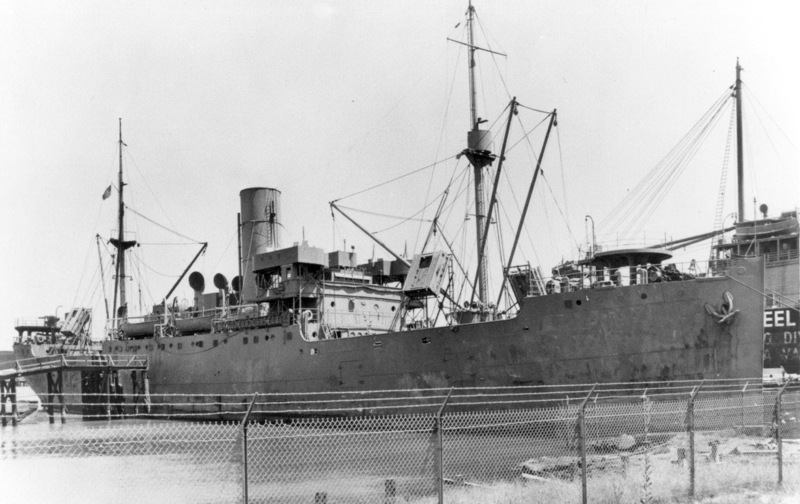 Photographed on 7 August 1942 a few days before acquisition by the Navy. 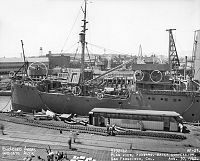 Her name as a merchant ship was La Perla. 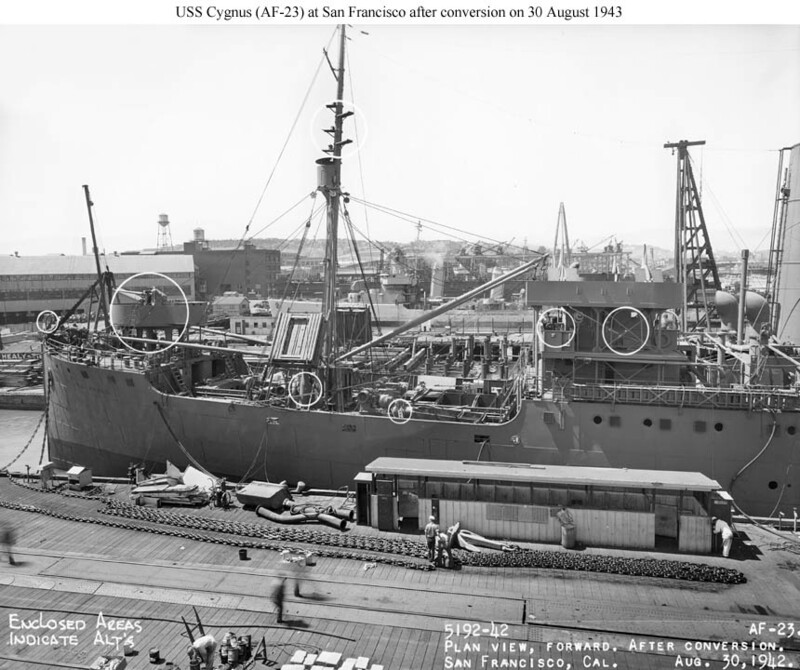 Photographed on 30 August 1942 by the Mare Island Navy Yard after completion of conversion. The conversion alterations, circled on the photos in this series, were relatively minor, the most conspicuous being the addition of vertical splinter protection around the gun positions fore and aft and the addition of two 20mm guns aft.